The ‘Sofia Star1’ is a first-class luxury sailing yacht exceptional at providing guests with the ultimate in freedom, comfort, and choice. ‘Sofia Star1’ can accommodate up to 7 passengers. There are 3 full cabins aboard. This includes 2 double bedded ones in the aft of the yacht and 1 mid-ship with a double bed a Pullman berth. All cabins – each named for a different Greek island – are air-conditioned and have en-suite bathrooms. Have breakfast at the aft deck seating area or enjoy meals in the indoor dining area. The later has a table that seats seven guests comfortably. Her interior is charming, with a crystal illuminated panel and wood details throughout. She has a large bimini cover to shade the cockpit and a swim platform allowing for easy access to the sea. 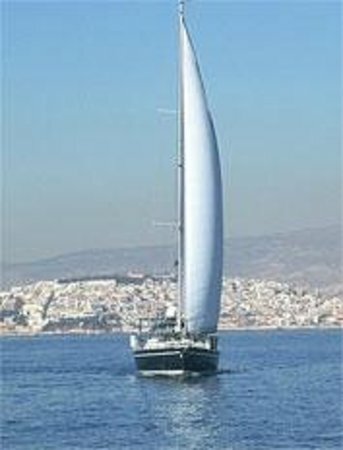 ‘Sofia Star’s’ crew has extensive yachting experience and knowledge of the Greek islands. 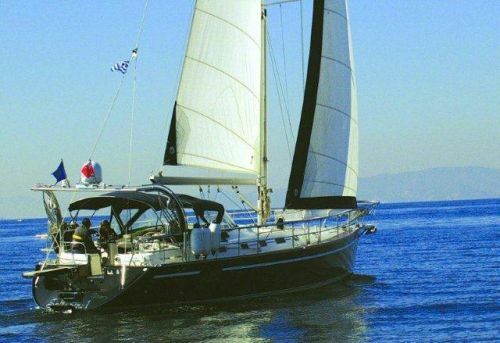 They will assure that you will have the most incredible yachting holiday! Her talented crew and chef will attend to your every need, serving up warm hospitality, delicious Greek “mezedes” and fine wines. ‘Sofia Star1’ will organize everything for your sailing pleasure, from events on board to barefoot walks on sandy beaches. Daily maid cleaning service, Satin linen – Towels daily, Beach towels. Day cruises are a great way to experience fun leisure trips with luxury sailing yacht Sofia Star 1. They depart from Mykonos, Ornos or any other location and sail to Delos – Rineia, South beaches of Mykonos, Naxos, Paros, Syros, or Tinos. Choose a day cruise for water-sports fun, educational reasons, or just to relax and unwind. The goal is always the same: to provide you with a unique and unforgettable sailing adventure tailored specifically to your needs and desires. Sofia Star1 is well experienced in organizing and accommodating all types of special events; either while cruising, anchoring in a private bay, or in a private Marina. or whatever you could imagine!